Should you have any question, feel free to contact as at anytime via email. The Monika Osińska-Majchrzak LL.M. 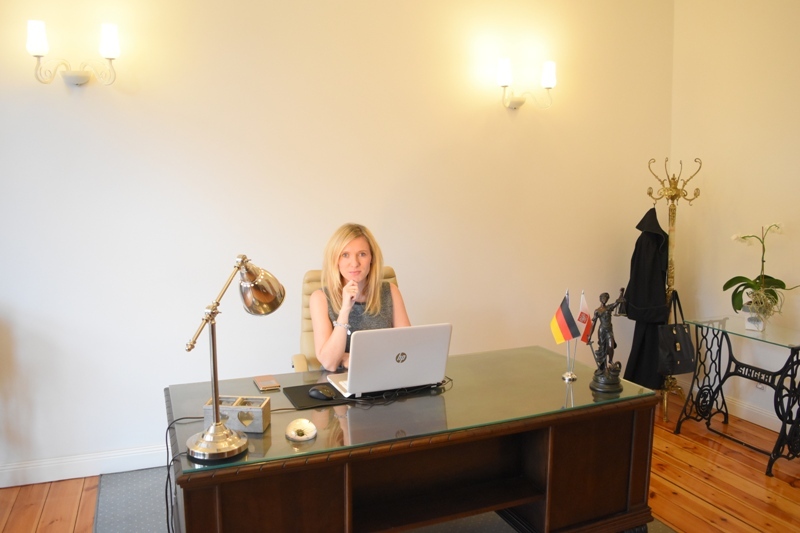 law office, based in Szczecin, 20/4 Pilsudskiego Street offers comprehensive legal services. In addition the company provides assistance in the procurement of various documents from the Polish registry offices for example: birth certificates, marriage certificates, death certificates. The company will help further the acquisition of such documents as baptismal of Polish churches, documents from the Polish State Archives that are 100 years old or older and other Polish government institutions (land registries, commercial register and trade register extracts).